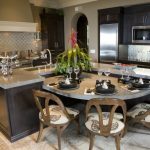 One might say that the kitchen is the heart of the home. After all, it is that one place wherein families come together and share a meal—so; it is arguably the place that makes the most memories. Unfortunately, not all people are blessed with big kitchens and as it is would have to make use with the available space they have. 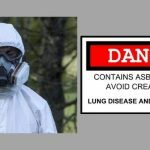 This applies in particular to individuals living in condominiums and high-rise apartments such as Avida Towers Cebu where the kitchen area is relatively small. 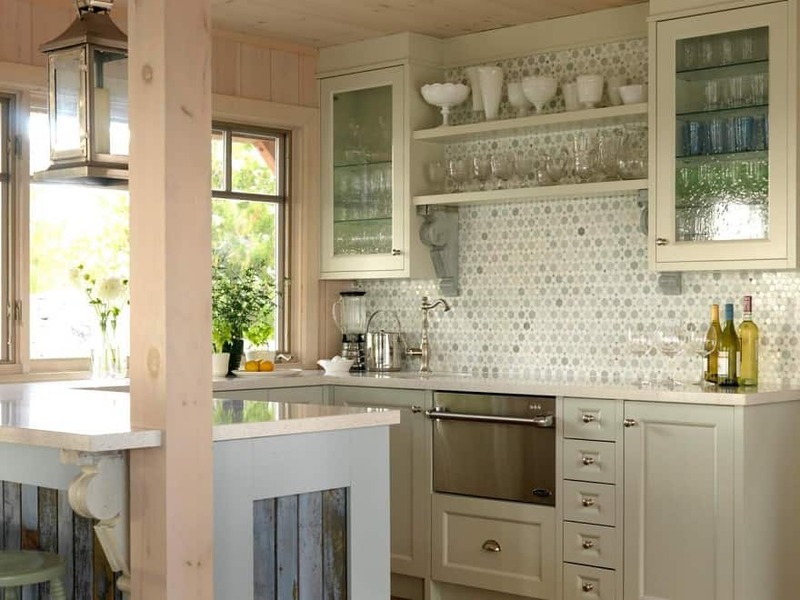 However, there is no need to fret as you can always make even the smallest of kitchens work for you. What you need to do is to ensure that everything in it is organized and it should remain clutter-free. If you are constantly in a rush every morning with getting the kids ready for school and preparing meals for work, save time by having an organized pantry full of snacks you can easily grab and go. Have a see-through pull-out baskets filled with dinner sides, pasta, sauces, canned goods and the like and save yourself time in the morning. Maximize your pantry’s space by taking advantage of the doors. Install racks on the inside of the door to store pantry goods such as spices, canned items, sodas and more. 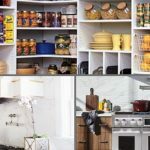 Your pantry has a wealth of storage options, and you might just be surprised at how much extra storage you actually have when you add racks to the doors. 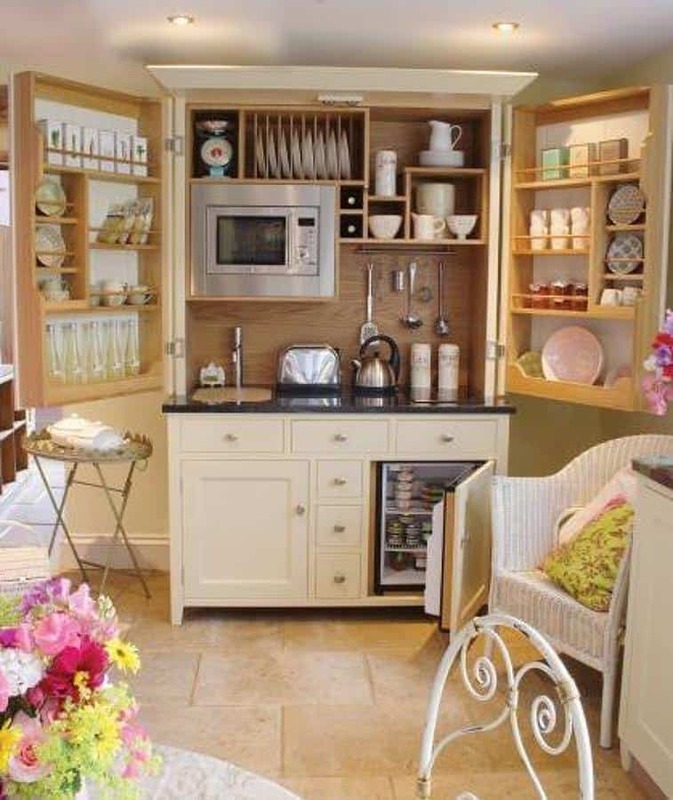 Your kitchen is rife with storage options; you just need to think creatively. 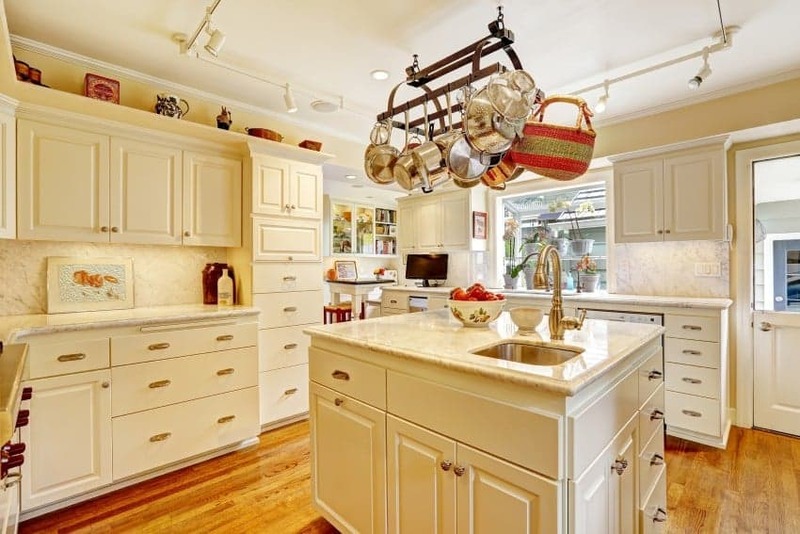 There is no absolute need for you to store all of your pots and pans inside cabinets or drawers. Instead, just think that the sky is the limit and make use of the overhead counters by installing clips below it. 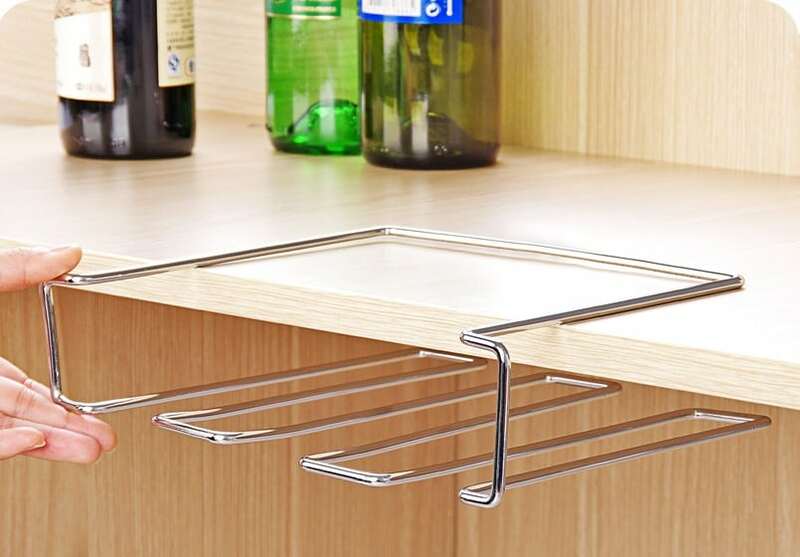 Moreover, you can also put them just right above the stove or (above the kitchen island if you have one) by installing a hanging rack. In this way, these essential kitchen utensils will not only be out of the way but easier to reach as well. 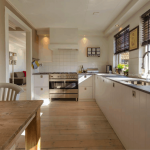 Choosing cabinets with glass panes over wooden ones would not only make your kitchen more aesthetically pleasing, but it will also make it easier to identify what you are running low on. Your storage need not be boring, install glass canisters along your shelf as well and open up not only a multitude of storage options but opportunities for decor as well. Make the most out of your cabinet space simply by adding under-the-shelf racks (or under-the-cabinet racks). These are useful storage areas for bowls, mugs, and plates and under glassware. 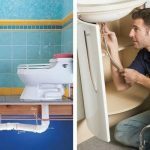 By doubling your cabinet space, you would not only be effectively fitting more dishes into your cabinet, but every dish you have will be a lot easier to find. 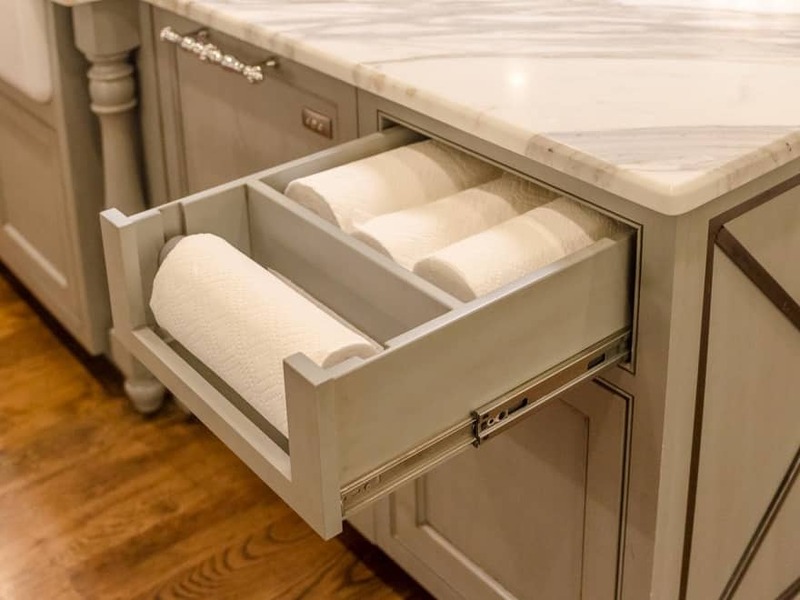 One essential kitchen staple is a set of paper towels. However, there is no need for you to put them out on display where they would only add to the clutter and take up precious counter space. Instead, have the inside of a kitchen cabinet door installed with a paper towel holder. In this way, they will be out of sight but easily accessible. If your kitchen is rather limited in space, you need to make use of every resource you can think of. 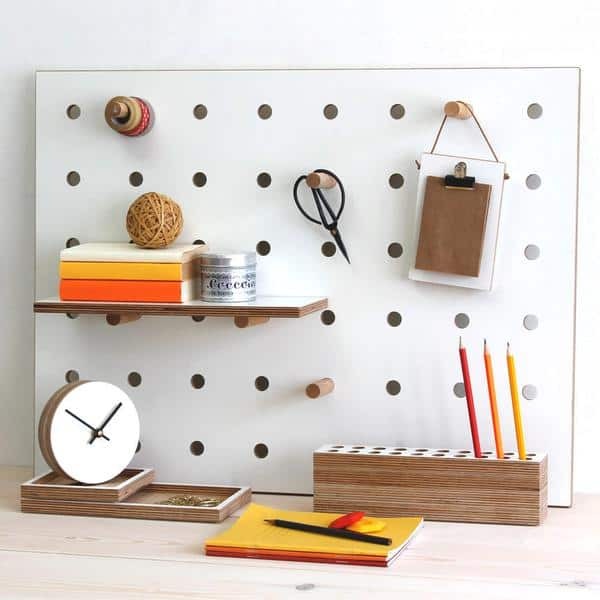 One way to open up storage options is to create a pegboard that is equally resourceful as well as refreshingly stylish. Pegboards are a great alternative if you do not have a lot of cabinets and shelves in your kitchen. It might leave you with a few unsightly holes in your wall, but it can be easily fixed before you move out. Or you can buy one like the picture above. Modern and compact kitchens would never be complete sans this integral storage item. 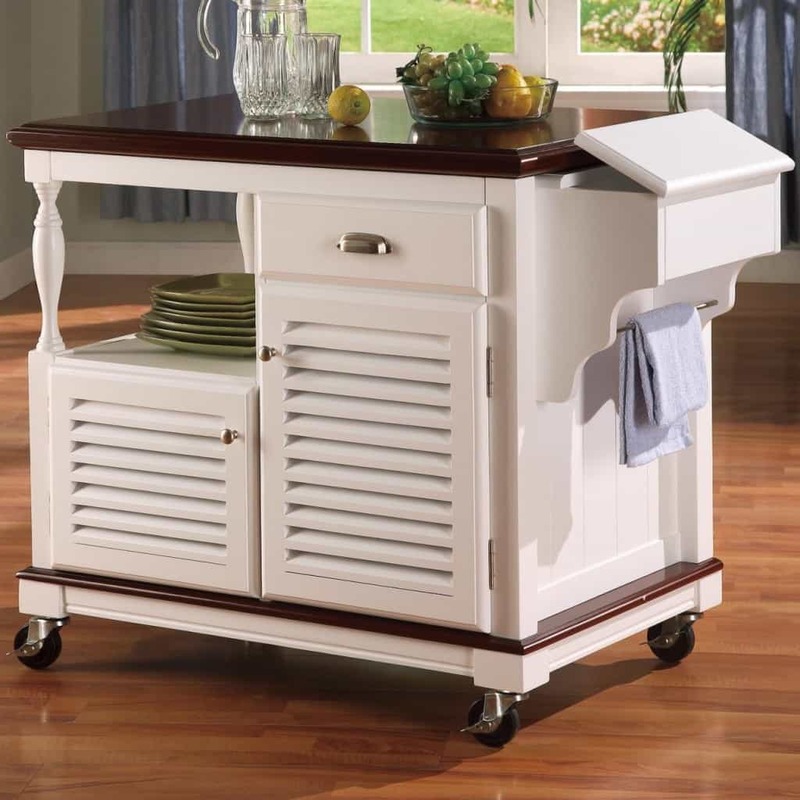 Similar to a rolling cart, a mobile island is a creative and ingenious approach in creative more storage space in a compact kitchen. It is portable and can easily be stowed away when not in use. 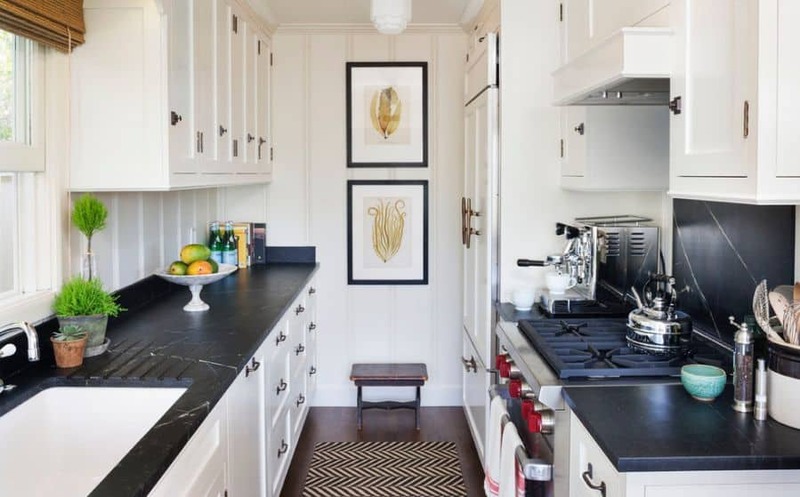 Furthermore, it is multipurpose too as apart from functioning as an extra storage space, it can serve as a cutting board as well effectively giving you more countertop space.